Christmas is my favorite time of the year and I can’t believe it’s already December 8th! I always want this time of year to go slowly! It’s goes by too quickly and we often spend much of December feeling stressed. Last week, the Respiratory Syncytial Virus (RSV) hit our family and it was so sad seeing our one year old son sick. Thankfully he is feeling better, but now my daughter and I caught the bug. I would be lying if I said this wasn’t affecting our Christmas spirit. But we always have a choice and I am doing my best to keep our spirits lifted and the magic alive during this special holiday. I’m learning to embrace the season with less stress. 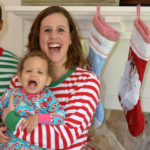 We love our family traditions at Christmas, but sometimes you just have to admit you can’t do it all. That being said, I still love adding simple decorations to our house. It brings a warmth and peace to the home. There is something special about the glow of a Christmas tree at night and the evergreen scent filling our home. Do you agree? 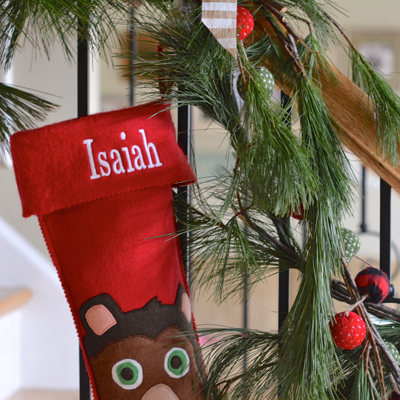 Another simple way to decorate is to hang stockings! 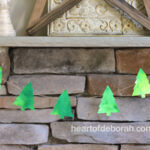 It doesn’t take a lot of effort yet it can transform a space into a Christmas wonderland. 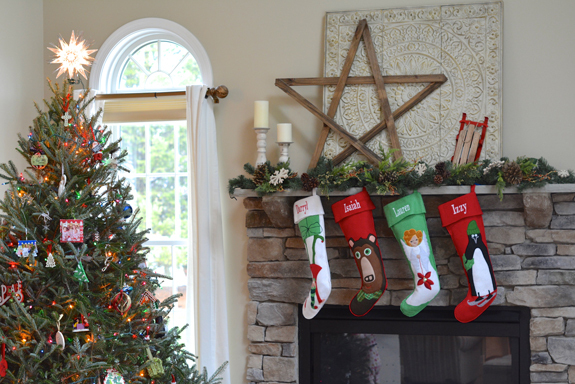 We were so excited to partner with Garnet Hill this holiday and decorate with their beautiful Hable stockings. 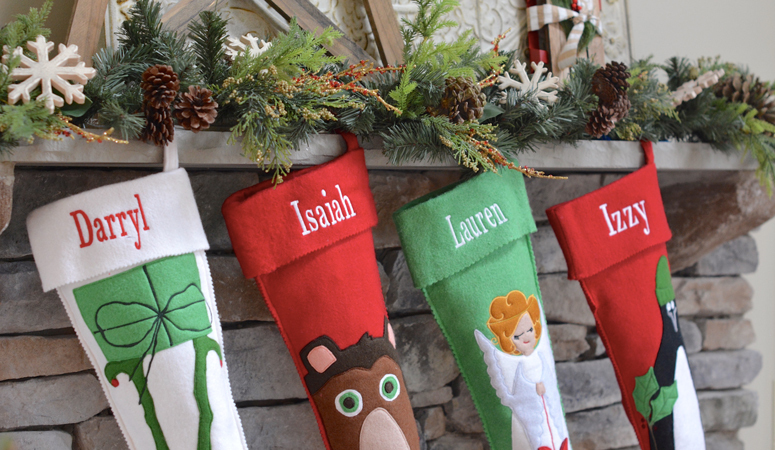 Each year they have new jolly and cheerful designs available in the felt stockings. Aren’t they cute? 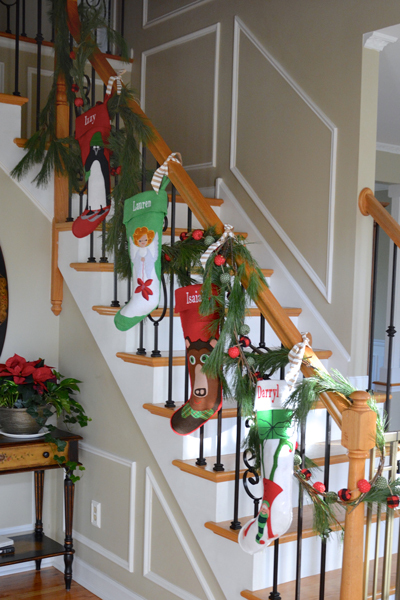 I couldn’t decide if I liked the stockings better on our mantle or up the staircase. What do you think? 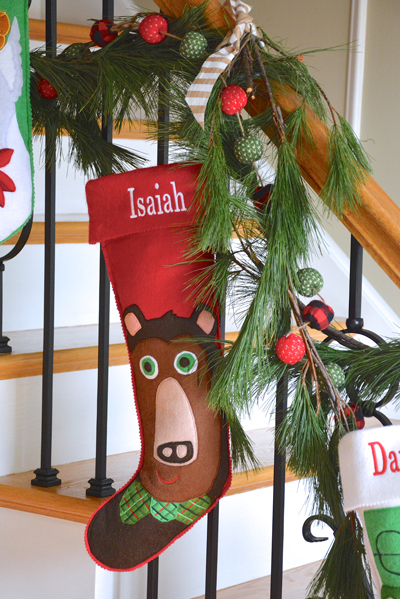 Do you decorate your staircase for Christmas? I’m so grateful we were able to hang these decorations. It definitely lifted our spirits during this awful sickness. Sometimes it’s the simple things that make a big difference. How do you embrace the season with less stress? Are there certain things your family HAS to do every year? Or do you like a more relaxed holiday? I’d love to hear from you in the comments below! How do you embrace the season with less stress? A tree and stockings make such a difference in our living room! Disclosure: Although I was provided the stockings from Garnet Hill for free, I was not required to write a positive review. As always the opinions expressed are 100% my own.